Spray clothes, pants, and boots liberally. The goal is to create a Nose Jammer cloud that surrounds the hunter. 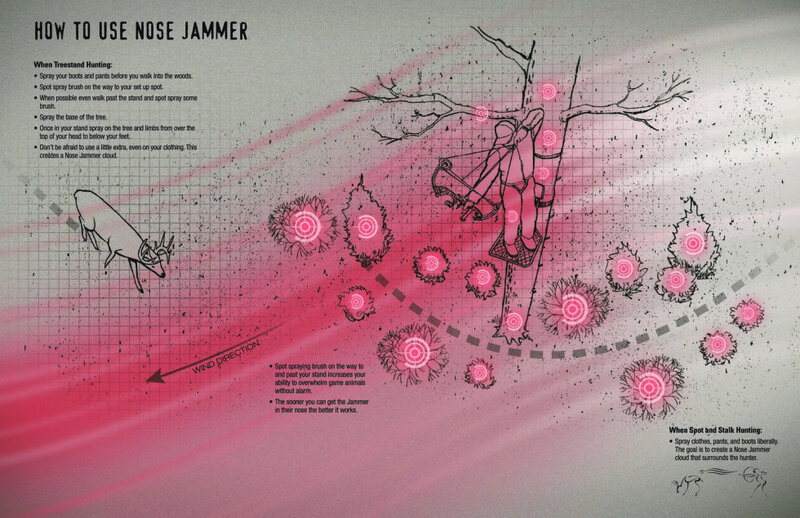 High winds or heavy precipitation can decrease the Nose Jammer cloud, to combat this we have found that you should spray a tree or brush 10 yards on each side of your setup. This will help you maintain your olfactory overload during adverse weather conditions.